Winter is no doubt a challenging season when it comes to get dressed. One of the hardest aspects is staying trendy. Well yes, I’ve said that because the cold season offers less options than other seasons do when it comes to highlight your outfits and your creativity on making various combinations. The fur coat is no doubt an extremely special piece of outfit. However, if we are talking about the fur coat made of real fur, we will definitely have an extremely disputed coat. Anyway, a fur coat, no matter if the fur is natural or not, has may advantages. Perhaps the major advantage of a fur coat is that it keeps you warm very well since the amount of heat loss is very small. During a very cold winter, this aspect becomes extremely important. In addition, this type of fur is considered very fashionable and glamorous. 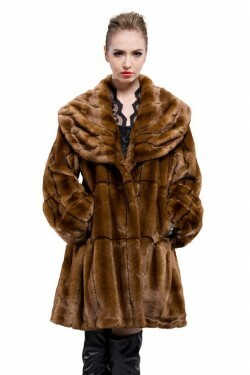 Fur coats are also very durable, being able to be worn generation after generation. Of course, this can happen if we’re talking about a quality one which was well taken care of. If you’d like to buy a faux fur coat you have plenty options which will surely satisfy your tastes. It doesn’t matter if you buy a fur coat or just a regular coat, important is to properly protect yourself from cold.